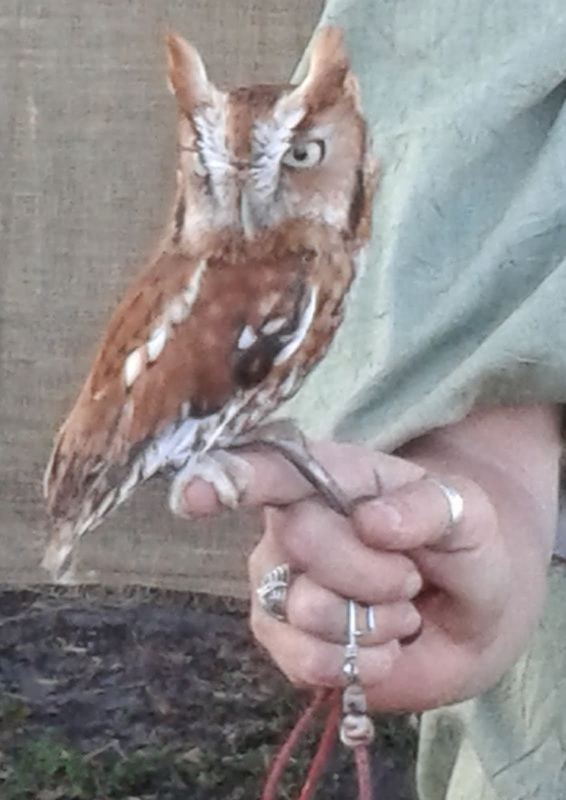 I enjoyed South Florida's Ren Faire and this little fellow was part of a falconry exhibit. This fair was not as fun as they had been in the past, though, because of two reasons. My long-time friend who volunteered for Ren Faire every year moved away. I missed her and getting to hang out with the "Players." Didn't feel the same this time. They changed the layout so you must walk past a good chunk of the vendor booths and the food court before getting to most of the shows and ... more vendor booths. I'm going to browse through it all anyway, I'd like to take in a show or two first, thank you. 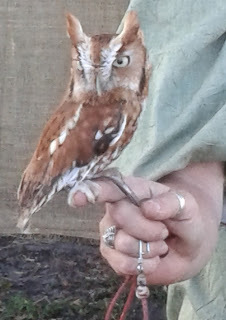 Still fun, just tiny bit of bittersweet (about the size of this owl) sprinkled in for flavor.